In October last year, Tensoft hosted its first online user conference, Momentum 2.0 for Tensoft customers. The robust agenda covered interesting topics on Tensoft SemiOps (FSM), Tensoft Revenue Lens (RCM, RDM, CBM or RRM), and Microsoft Dynamics 365 (Business Central & Customer Engagement). This quarterly user conference is a great way to gain in-depth knowledge and get free training of Tensoft applications right from your desk. It will be held on Tuesday, March 12 – Thursday, March 14 this quarter and customers can join us for all the sessions or just the sessions they wish. The agenda includes sessions on product costing in Tensoft SemiOps, Odata connections to excel in Microsoft Power BI, new features in Microsoft Dynamics 365 Business Central, product roadmap and wish list for Tensoft products and much more. Stay tuned for more details! Over the last few years, we have seen the demand for cloud increasing in our customers due to its benefits like security and cost effectiveness. 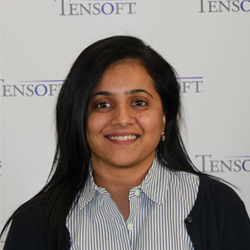 Staying true to its vision and strategy, Tensoft made the decision to offer only SaaS versions of its products in the cloud going forward. Tensoft applications currently leverage AWS and Azure cloud services. A small step in this direction is the re-branding of Tensoft RCM to Tensoft Revenue Lens and bringing its SaaS version – Novadek Revenue Lens – back under the Tensoft banner. As you know Tensoft supports, sells and implements Microsoft Dynamics 365 Business Central – the all-in-one business management solution for small to mid-sized businesses. It connects your business processes including the financials, sales, operations and customer services and help you grow at a reasonable price-point. For more information on Tensoft and its products and services, contact us today!